I was arguing with my two-year-old daughter’s father one day. The problem was that I felt like he was babying her up too much and wasn’t letting her grow up. He just kept saying that she was his baby forever. I had to explain my point of view to him. One day, we won’t be here for her. I want her to know that she can do whatever she sets her mind to. I don’t ever want my daughters to feel like they have to depend on anybody for anything, especially a man. I want them to grow to be proud and independent. He finally agreed. I’ve been pushing my girls for as long as I can remember. I was HIV+ throughout both of my pregnancies, and gave birth to two completely healthy children. I pushed them to get off the bottle early, to talk and learn things early, to cook early, and anything else I felt like they were even beginning to be ready to start learning. I feel like the more I can teach them while I’m still here, the better they will be when I am gone. This may not be the best way to think about this illness, but it’s the best I feel like I can do with my situation. Imagine waking up every day not knowing how long you’re going to be alive because you can’t even get a ride to the doctor for treatment. Now, on top of that, you have two children that depend on you. They don’t know what’s wrong with you, and are too young to explain it to them right now. They have no clue why you push them so hard to be great. The children think of you as a warden, but don’t realize how smart you have led them to become at such a young age. One child is just like you, so you always bump heads until she chooses to live with her father nine hours away. The other child is living with you, but her father has proven time and time again that he can’t care for her properly on his own. You are left to think, how will they be ok when you are no longer able to be there? There was one time when my daughter and my friend’s daughter were fighting and my daughter bit hers. Before I could address the situation, my friend started going off. She made comments about my child making hers sick because she bit her and snatched her daughter up heading home. I had to cool myself off by reminding myself that some people just aren’t as educated on HIV as they should be. She knew my child was born with a negative status, but still treated her like she was infected. I hate to think that my children will have to deal with this all their life. This is my situation. I struggle with this everyday. No one ever explained this to me when I received information and help with my HIV case. Who’s helping me through this? No one. Who’s helping me find a way to get to treatment so I can have a healthier life and add years to the time I have with them? No one. Why are there all these programs and help for people overseas when we need help right here in America? When I’m gone will there be anybody here to help my children understand what happened to their mother? I always believed that we have a responsibility to our home before outsiders. I guess we all don’t believe this way. While looking on websites for those programs who help others, I always find links to help educate, donate, or join the campaign, but where can I go to ask for help for my own situation? I’ve been working with a friend on a project that I think will become a major movement in our lives. It’s an educational type of project that we want to encourage people to become a part of. Right now I am trying to collect questions from anyone who wants answers pertaining to HIV/AIDS mainly, but also any other STD. If you or anyone you know have a question or topic you think needs to be discussed in detail, please email me at lifesavingmovement2018@gmail.com. I may not be able to get to the doctor myself, but I’d love to help prevent people from going through what I am now. It all starts with education. 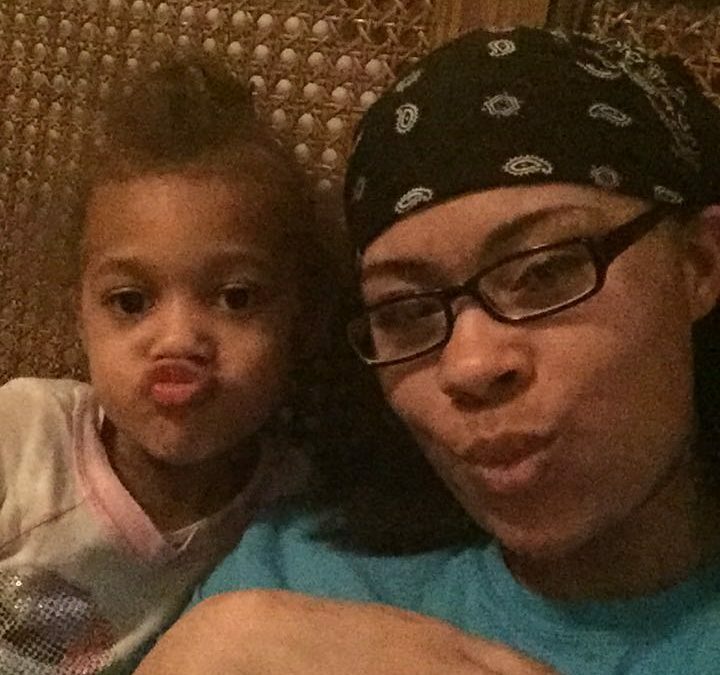 Michaela S. lives in southeastern Missouri and dedicates her time to her two daughters.